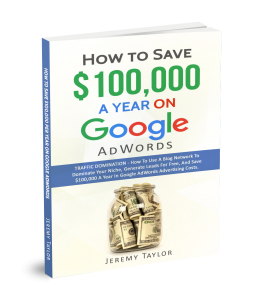 What if you no longer needed Google AdWords to get clients for your Business? With a specific focus on Google this book is designed to take you through the process of maximising your search engine footprint, increase your presence on the web and generate a huge amount of traffic for free. Utilise the power of the popular WordPress blogging platform together with Social Media platforms such as Facebook, Twitter, Google+ and YouTube as well as many others to create your own powerful "Social Blog Network" designed to flood the search engines with your message. Build backlinks to boost your natural search listings, maximise your Internet presence, generate free targeted traffic and reduce your online advertising expenditure to zero! Learn the fundamentals to selling on-line and how important it is to have a Reputation Marketing campaign in place. How to outsource everything for little cost.